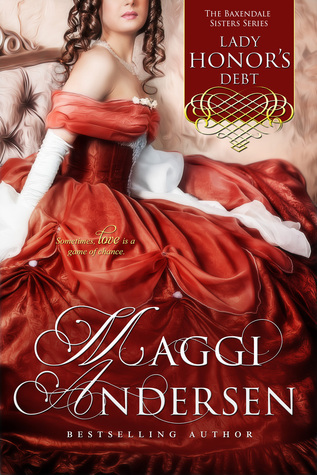 LADY HONOR’S DEBT, a novella, by Maggie Andersen — a fun, light read of a heroine who needs rescuing and a hero who is up to the challenge! Synopsis: Freedom. That’s all Lady Honor Baxendale wants—for her sisters and for herself. Honor has a bold plan to become financially independent, using a skill she learned at her father’s knee. She seeks the help of a solicitor and is pleased with her choice…as long as she can resist the solicitor himself. Lord Edward Winborne has been happy to come to the aid of his four sisters in the past. But when a neighbor’s daughter, Lady Honor Baxendale, requests his help for a dangerous scheme she has in mind, he feels it his duty to dissuade her. When that fails, he wants to protect her, and then somehow finds he wants to do more. Much more. My Thoughts: This is a light Regency read whose heroine was seemingly a retiring young lady, thinking herself a spinster and wanting to keep it that way because frankly men couldn’t be trusted. She made herself as unappealing as possible wearing drab-colored clothing and donning glasses that made her look dowdy. By our standers today, she is in the bloom of life! It amazes me how we ALLOW society to dictate how we feel about ourselves. Here, however, I digress. Lord Edward saw behind those glasses and saw a pretty woman. Her wild scheme about saving her family financially has its merits and danger, it also has his admiration. When he saw her in action in a game of Quinze, in disguise, he admired her further. BUT, and this is the stickler, Lord Edward was much too busy for a woman. He had his career as a lawyer to build. That being said, this young woman intrigued him, yes, got under his skin and frankly shook what he felt was most important in his world. It seems not only Lord Edward was attracted to her, but she to him. When men weren’t to be trusted, why did she trust him? When Lady Honor was pushed into a corner (because she was a dutiful daughter) she lost her chance for revenge AND all her plans come to ruin. She finds that retiring with her aunt some nine days away from home closer to the Scotland border didn’t suit her at all. Lord Edward was made of sterner stuff than he even thought he was and was ready to be the knight to save his lady. This is a fun read which starts a new series for Maggie Andersen. She enjoys writing novellas and is good at it. Book 2 of the series is also a novella, so stay tuned! About the Author: Best selling, multi-published author, Maggi Andersen, fell in love with the Georgian and Regency worlds after reading the books of Georgette Heyer. Victoria Holt’s Gothic Victorian novels were also great favorites. She has raised three children and gained a BA and an MA in Creative Writing. After husband David retired from the law, they moved to the beautiful Southern Highlands of Australia. Maggi’s free time is spent enjoying her garden and the local wildlife, walking, reading, and movies. She keeps fit swimming and visiting the gym. Maggi’s mystery, THE FOLLY AT FALCONBRIDGE HALL was nominated for the Rone Award. She writes contemporary romantic suspense, mysteries and young adult novels as well as her Georgian, Regency and Victorian romances. Maggi supports the RSPCA, IFAW and Youth Off the Streets. 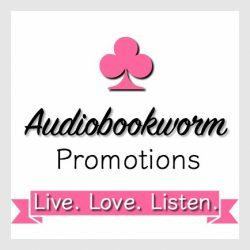 This entry was posted in Book Reviews, Historical Fiction, Regency Romance, Romance, Women's Fiction, Young Adult and tagged Book Review, historical romance, Lady Honor's Debt, Maggie Andersen, Regency Romance. Bookmark the permalink. 1 Response to LADY HONOR’S DEBT, a novella, by Maggie Andersen — a fun, light read of a heroine who needs rescuing and a hero who is up to the challenge! Thanks for the lovely review, Eileen!